Varanasi: Reiterating his aim to provide the citizens of Varanasi and nearby areas with quality healthcare services, PM Modi once again recently iterated that BHU would be upgraded to the level of AIIMS. Prime Minister Narendra Modi, on Wednesday, held an interaction with ‘Varanasi Morchas, Vibhag, Supporters and Volunteers’ through the ‘NaMo App’. 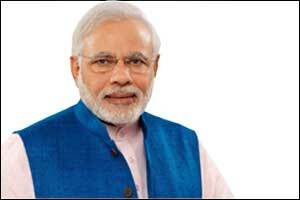 Speaking on health care in the state, PM said, “Health care should be affordable. Today, for the population of Kashi and its nearby areas, work is underway for a ‘medical hub’. Various people are taking advantage of the medical services in Kashi. Medical Dialogues team had earlier reported that a MoU was exchanged in this regard between union ministries of HRD, Health and Family Welfare and the UP government at K N Uduppa. Union HRD Minister Prakash Javadekar at that signing of the MOU had announced that IMS-BHU will get 700 additional beds and super specialty health facilities, and also assured that the institute will not face any financial problems for its upgradation into AIIMS like institution.